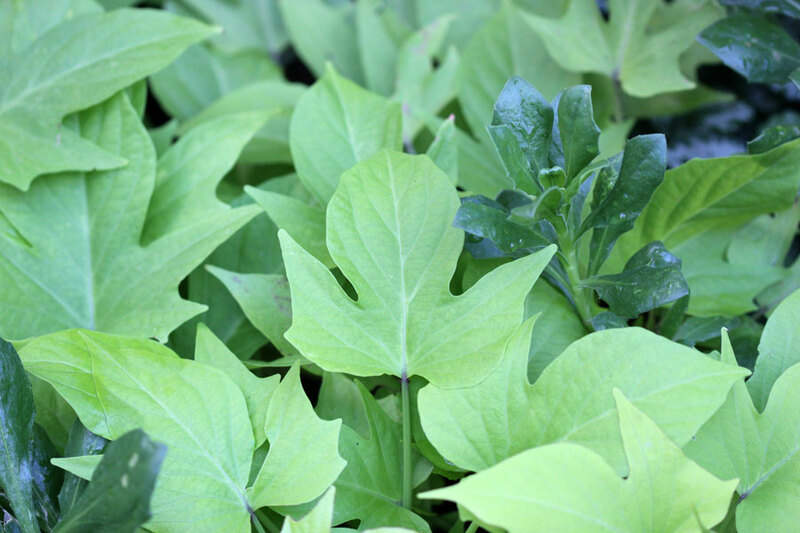 It’s the 16th day of March which means its time to join Pam at Diggings for March Foliage Follow Up, the monthly gardening meme where garden bloggers showcase the beauty of foliage in their gardens. At no time has it been more obvious to me than over the last few weeks, just how important foliage is in the garden. With no mass displays of gorgeous blooms my garden would have been a sorry sight without the colour, interest and lush growth all the different foliage has provided. 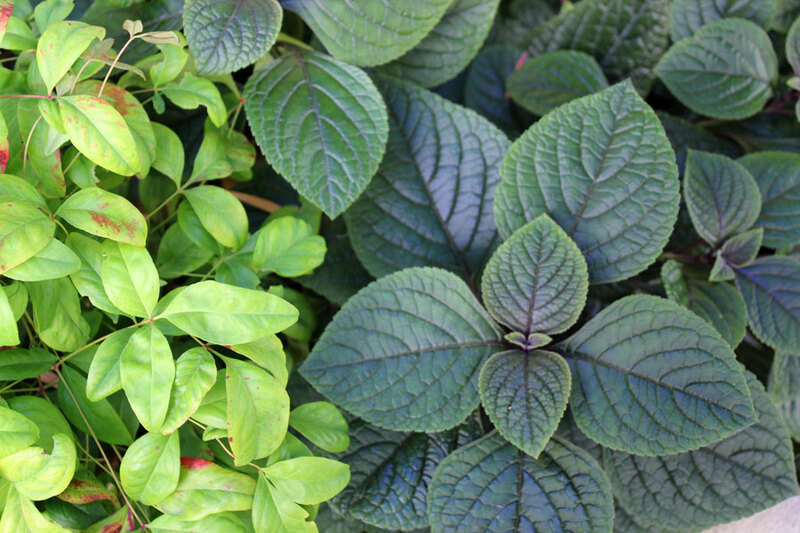 With small areas of pretty blooms highlighting beautiful shades of greens, greys and blues, contrasting shapes, forms and textures … it’s been a wonderful few weeks of admiring the foliage. 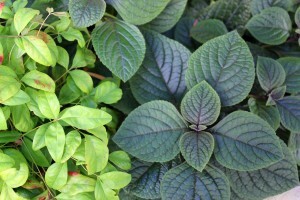 Here are some of my favourite foliage plants and combinations I’m enjoying at the moment. 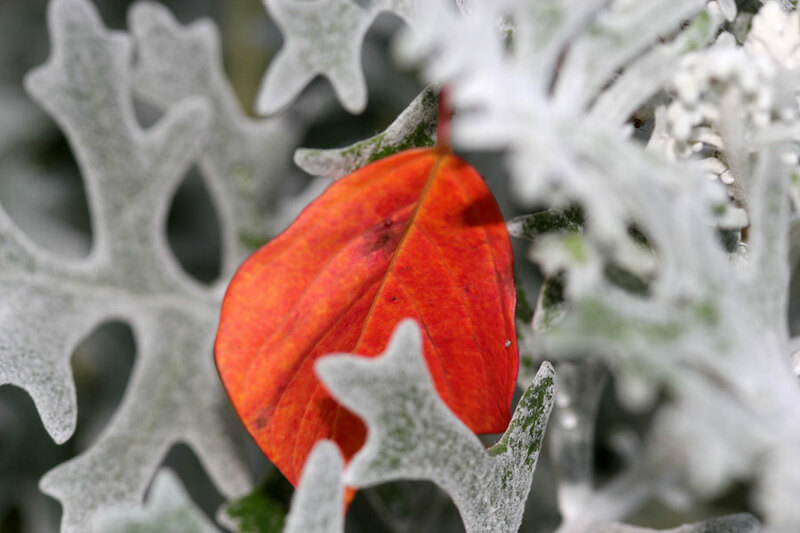 In the third and fourth photos below, the coloured leaf from the Silver Birch tree (Betula pendula) has fallen into the Dusty Miller – I was amazed at how interesting and beautiful the colour contrast is – in nature. I’m not sure I’d put those colours together but when it happens naturally it is simply beautiful. 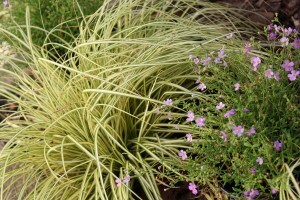 Carex and Sutera – what do you think? 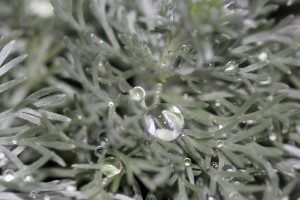 The Artemesia schmidtiana ‘Silver Mound’ is a brand new purchase. I really like it but I bought it on impulse and don’t have a plan for it. I’ve been hauling it around and placing it next to existing plants to see where it will look good – so far I’m not finding the perfect place, so it’ll have to live in the pot for a bit longer. Foliage Follow-up - What happened? 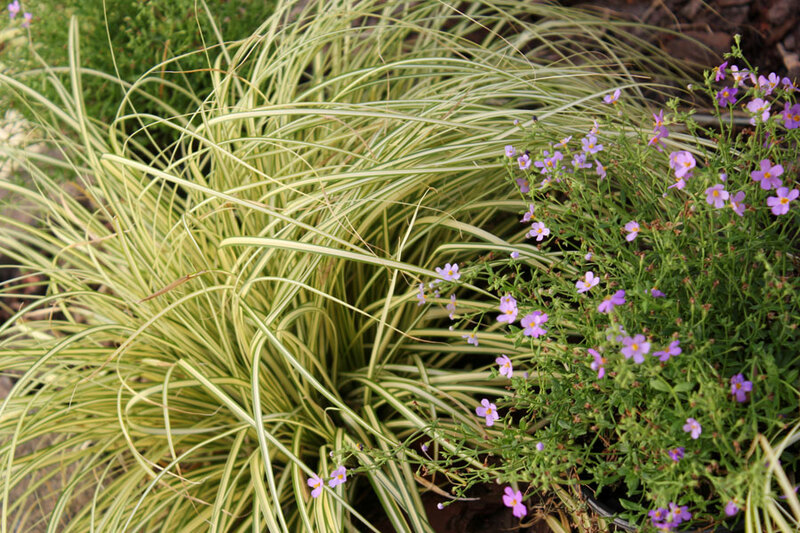 I love those serendipitous combos, like your Carex and Sutera. The tiny lavender blossoms look sweet next to the golden strappy leaves. Great display for Foliage Follow-Up all around! Great combinations! 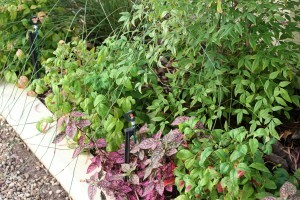 I especially like the nandina and plectranthus. 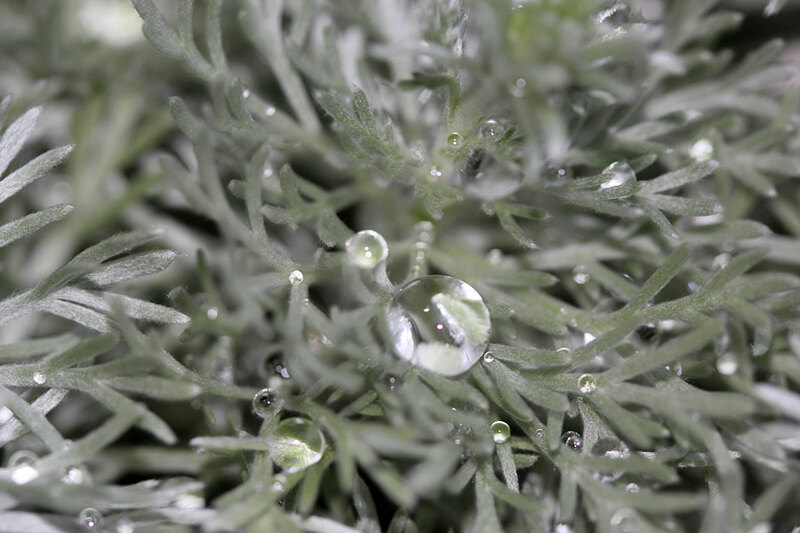 I have had silver mound artemesia growing in my garden for quite a few years. I wouldn’t be without it! Such a pretty shot of the Artemesia, Christine. 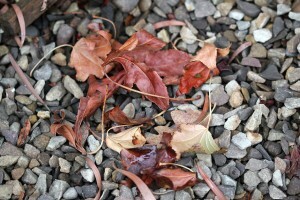 It seems odd to see the new Fall leaves, when here, I am cleaning out the ones from last Fall. Nice combos and a nice way to post for Foliage Follow-up. I love all the different colours and shapes – the Artemesia is really lovely – I just love mine too. Maybe leave it in its own pot. 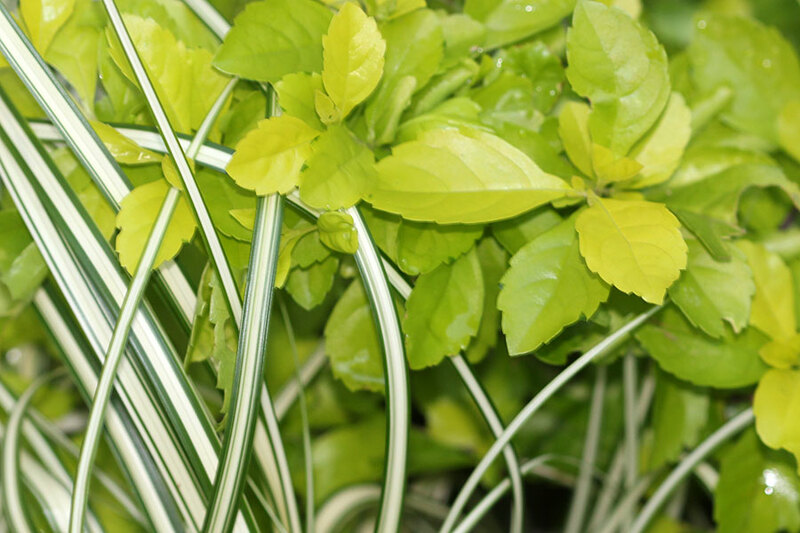 I have two in barrels and they do well – a bit overgrown, but I remember that they can’t just be planted into your garden because their roots can be toxic to other plants. Must do some research on that. 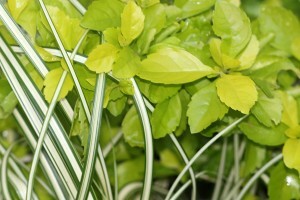 Hi Christine, I really like how you showed combinations of foliage. 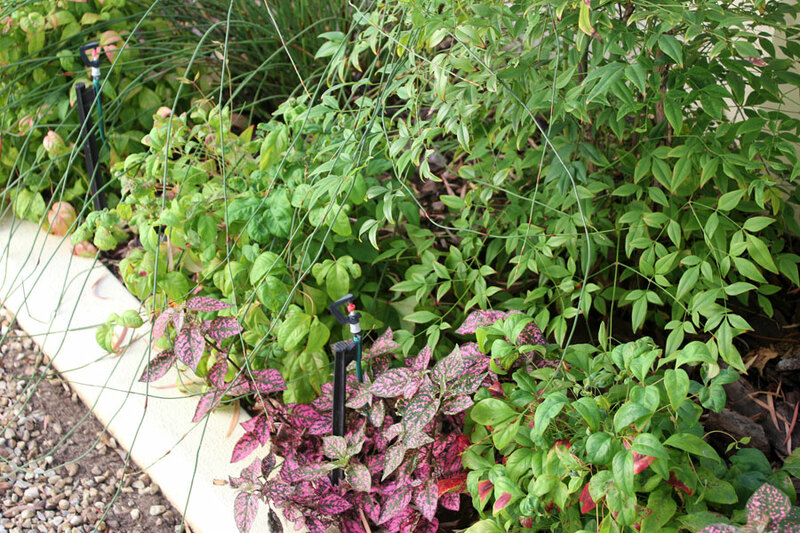 In gardening it is all about the combinations and you have made some great ones. Happy Gardening! Have a super weekend! 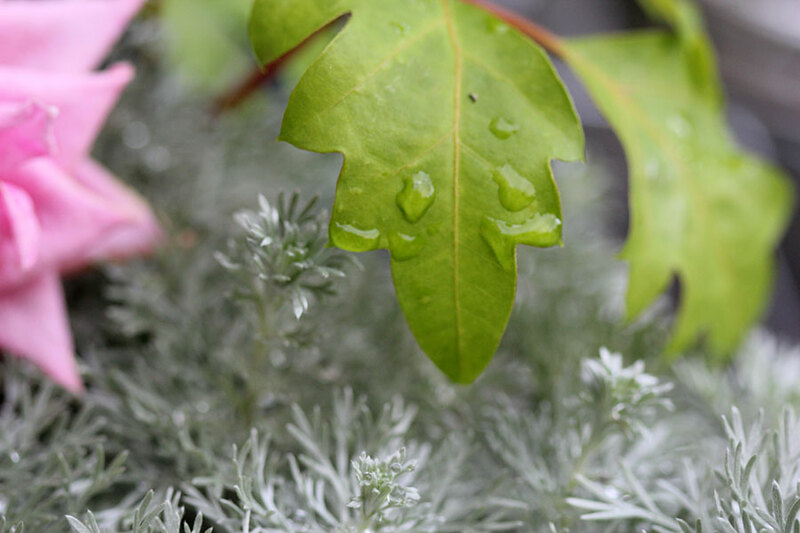 The leaf that fell into the artemesia makes such a lovely photo. Serendipity that you were there to catch it. 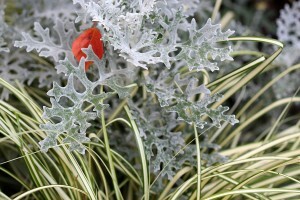 OK, you had me wondering – I have dusty miller in my garden but couldn’t remember what mine was planted with. Had to go outside and look! Daylily on one side; canna on the other. But I think that red-orange leaf looks fantastic! 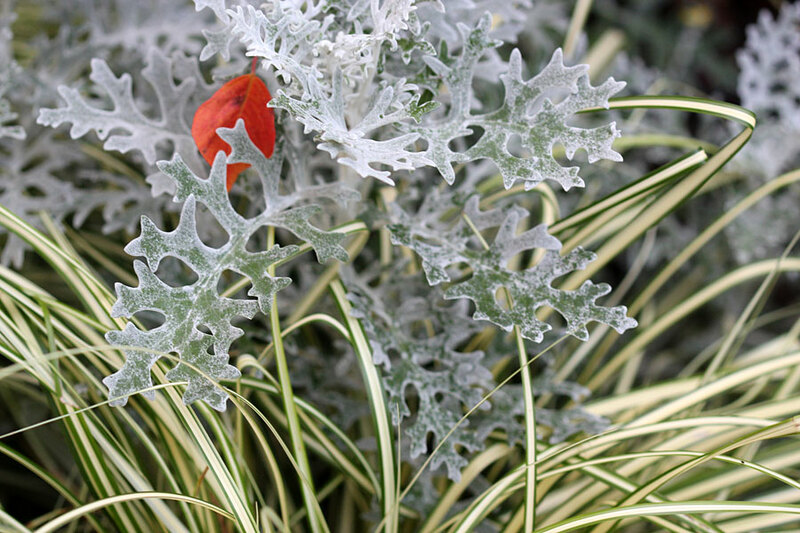 I’m not a big fan of Dusty Miller for some reason, but if I had one I’d sprinkle as many of those Silver birch leaves on it that I could find! Amazing, unusual combo! I like how you incorporate grasses into your mix. It creates an instant contrast with the rest of the foliage. Beautiful! It feels strange to hear you talk about fall while we are still trying to peel away from winter.